Arguably the most important and Instagram-able meal of the day, BREAKFAST! I LOOOOVE BREAKFAST! This is my go-to breakfast bowl for Saturday or Sunday morning. Simple, healthy, delicious. 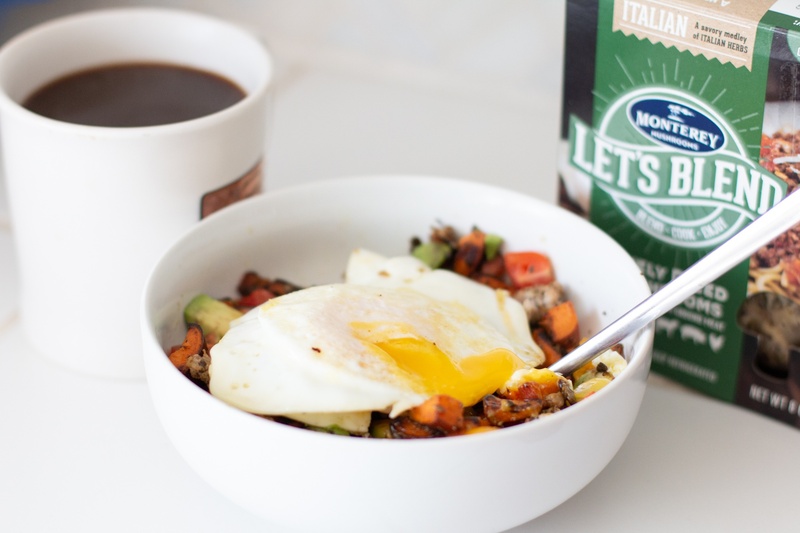 The Let’s Blend® Italian Finely Diced Mushrooms add flavor, texture and boost my morning nutritional intake. This recipe features Let’s Blend® - Find Let's Blend at a retailer near you. Let's Blend is finely diced mushrooms that are seasoned and recipe ready to blend with your favorite protein. Let’s Blend makes your favorite recipes easier to make, healthier and more nutritious!